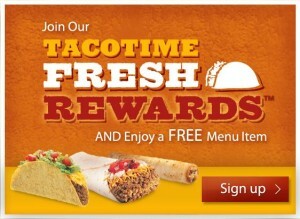 If you live near a TacoTime, sign up for their FreshRewards program and get a coupon for a FREE menu item! This entry was posted in Free Items, Reward Programs by mlemon317. Bookmark the permalink.